It’s easy to get caught in a vicious game of “what if,” going round and round on possibilities that never were. The biggest “what if” on Cleveland’s mind right now — what if the Cavs had won Game 4? Or, what if they had won Game 1? It almost happened! 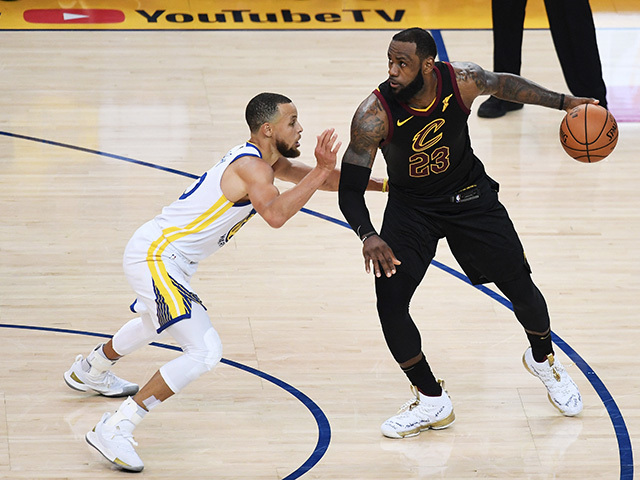 It was an overtime nail-biter, but in the end, not even LeBron’s postseason career-high 51 points in the game could save the Cavaliers. It would have been a surprising and thrilling road win. Regardless, LeBron’s jersey from that night is currently on NBA Auctions — and the bidding has surpassed $90,000. And there’s still more than a week left in the bidding. What if the Cavs had won Game 1? Would the jersey be going for even more money? The black “statement” jersey has the Finals logo on the back and is registered into the NBA/MeiGray Game-Worn Jersey Registration Data Base. The jersey is close to being the most expensive jersey sold on NBA Auctions this year. The top spot goes to another LeBron jersey, the one he wore this year in the first half of the All-Star game. The most expensive jersey ever sold was Stephen Curry’s Game 3 Finals jersey from 2017, which sold for over $130,000.